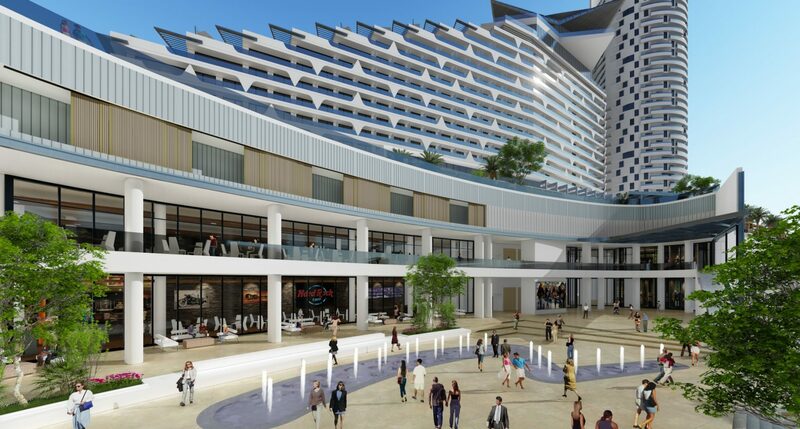 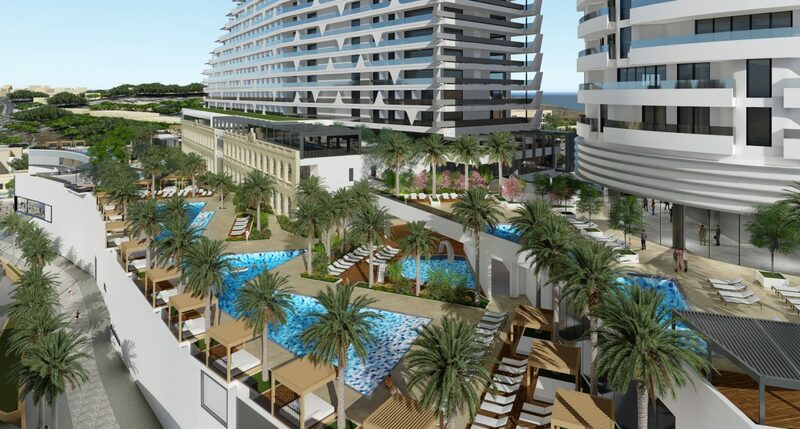 The City Centre complex includes 3 main facilities: two residential towers, one of which located in the east side (Tower A), and the other in the north (Tower B) and an hotel (Hard Rock Hotel) that are connected together by a podium with a shopping mall and a multilevel parking. 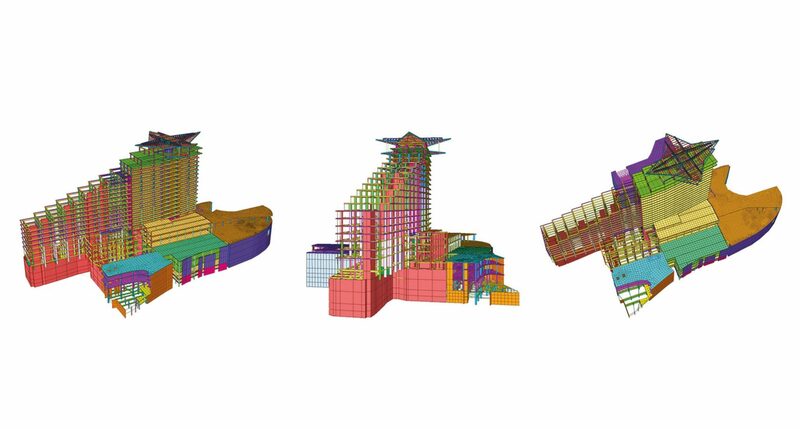 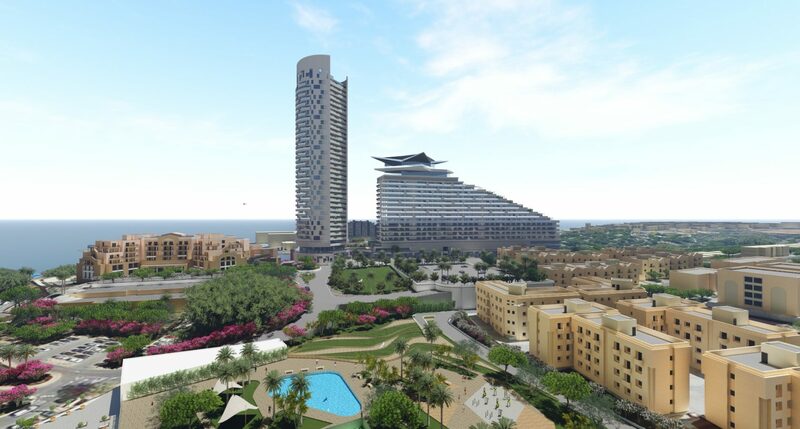 The building consists of 4 main facilities: with foundation at 0.5 m, the podium consists of 6 floors and reaches 22.25 m. At this level, the two towers and the hotel erect separately. 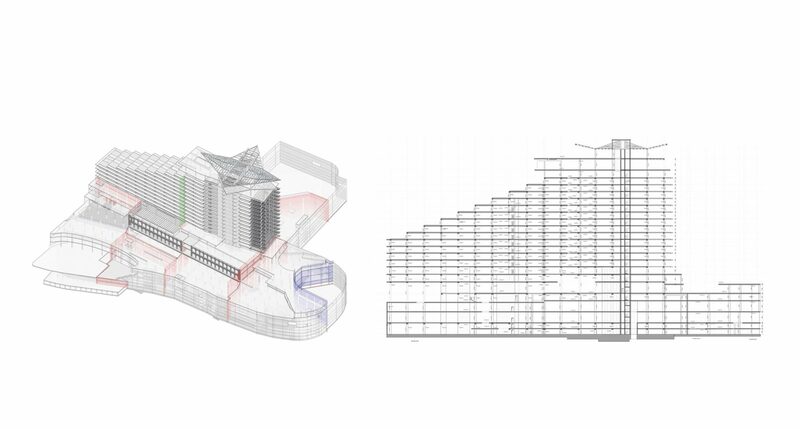 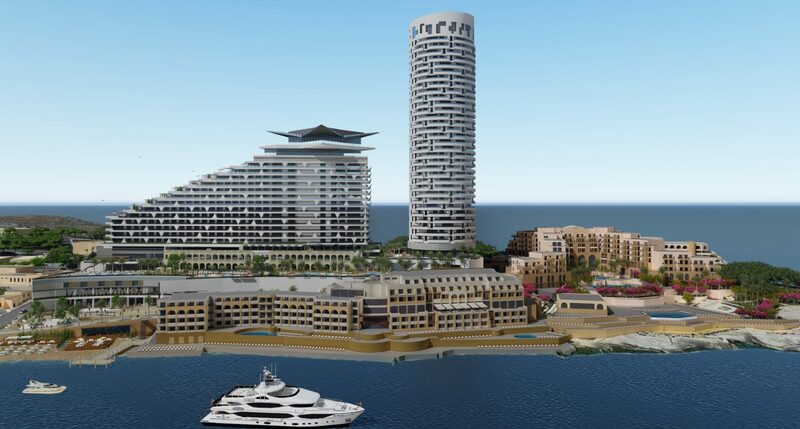 Both towers have a circular footprint of 1200 sqm and reach 162.85 AMSL (35 floors), while the hotel building has a rectangular plan 24×150 m and it reaches 94.40 m AMSL (19 floors).